If you’re a snowbird who spends your winters in Florida, Texas or California, you’ll want to explore the option of enjoying a cruise during your winter sojourn. Once you are in any of these Southern states, you’ll have access to nearby cruise ports you can drive to, which reduces the cost of taking a cruise substantially. You will also be in a position to take advantage of the great last minute deals that cruise lines offer for any unsold cabins. Generally speaking, your cruise destination choices will be somewhat determined by the cruise port you choose. Most cruise lines offer 3, 4, 5 and 7 day cruises to destinations that can easily be reached from the point of origin. As an example, shorter cruises from Miami or Ft. Lauderdale will go to the Bahamas and maybe Key West. Longer cruises from these ports will go to Caribbean islands such as Jamaica, the Cayman Islands, U.S. Virgin Islands, Dominican Republic, or Haiti. If they take a more Westerly route, they can sail to Cozumel, the Mayan Coast, Belize, Guatemala and Costa Rica. Cruises from Tampa or Galveston, Texas will head to Cozumel, the Mayan Coast, Belize, Guatemala and Costa Rica as well. From San Diego, cruises head down the West coast of Mexico to Los Cabos, Puerto Vallarta, Acapulco and Huatulco. If you are looking to take a longer cruise for a 10, 11 or 14 day period, you can travel farther into the Caribbean, reaching islands such as St. Lucia, St. Kitts, Antigua, Barbados and St. Maarten. 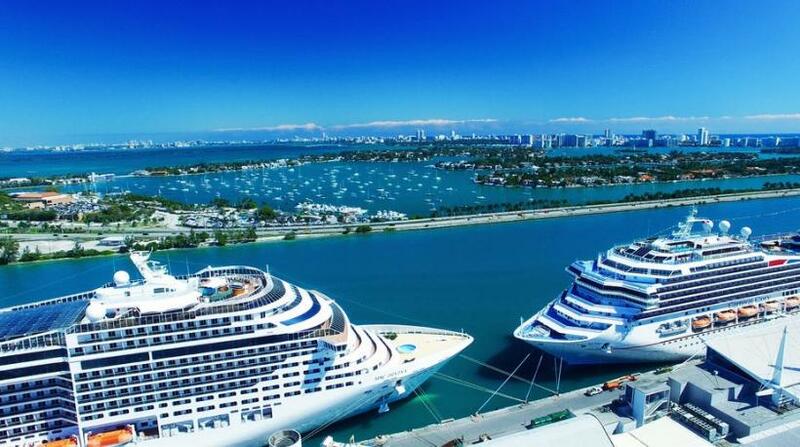 Cruise ports in Florida include Miami, Ft. Lauderdale/Port Everglades, Port Canaveral and Tampa. A few cruise ships are now based in Galveston, Texas and several sail out of San Diego and Los Angeles. There are many options for purchasing your cruise and finding a good deal. Some snowbirds rely on their own travel agent in Canada to search for them. Others will look online and book directly with the cruise line or with a cruise specialist OTA (Online Travel Agency). There are also companies in the U.S. that specialize in selling unsold inventory on cruise ships that often have very low prices. You will come across many of these sites if you are doing a search online for last minute cruise deals. Make sure you are comparing apples to apples in terms of the currency. Depending on which website you are looking at, the price could be in U.S. or Canadian dollars. It is tough to know if you are getting the very best deal unless you are prepared to do a lot of online research. This is why travel agents are making a bit of a comeback. They have access to systems that can search all cruise lines for the best price, and many do not charge you a fee, or if they do, it is a small one. There are so many options and different itineraries that searching can become overwhelming. Travel agents have access to all of the information you need to make your selection. They can also advise you on cabin choices, dining arrangements, shore excursions and more. Snowbirds often take a cruise with other family members or groups of friends. If you are going to be part of a group, you should definitely use the services of a travel agent to secure a group rate. Documentation: You will need a valid passport, and depending on your citizenship, it is highly advisable to ensure it is valid for 6 months after your return date. Most destinations give cruise ship passengers a blanket visa for shore visits but it is best to be overly cautious. Time spent in the U.S.: Canadian snowbirds should always be vigilant about keeping track of how much time you can spend in the U.S. to avoid potential tax and immigration issues. When it comes to cruises, be aware that if your ship departs and returns to a U.S. port, the days you spend at sea will count as days spent in the U.S., so be sure to include these days in your calculations when determining how much time you’re spending in the United States. Insurance: Check with your travel insurance provider to make certain that your Travel Medical Insurance covers you for your cruise vacation and whether your trip cancellation insurance will cover you as well. Leaving your vehicle: If you are driving your own vehicle to the cruise port, be sure to look for a secure parking lot to leave your vehicle in while you are on the cruise. Consult the cruise line website for advice.